A definition essay is simply a piece of writing centered on the meaning of one specific word; this definition should incorporate both objective and personal information. At its core, a definition essay is simply a piece of writing centered on the meaning of one specific word; this definition should incorporate both objective and personal information. 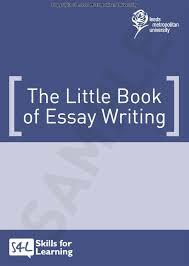 It might seem difficult, if not impossible, to be able to write an essay of any decent size based solely on one word, so many students struggle with this particular assignment. The first way to ease the process of writing a definition essay is to be careful in the word one selects. A word that represents an abstract concept is more likely to merit a sizeable essay; a word representing a concrete object, however, is very limited in its explanation. Words that represent ideas, for example, can be explained in a variety of ways, incorporating both the tangible and the intangible. Another way to make this process more effective is to consider alternate perceptions of the word in question. When defining a word, think about other ways that it can be explained; think about how others might interpret the word and its meaning. The concept of “truth” to one person can be very different from another’s understanding, for example; the idea of “justice” can vary wildly based on the individual. By presenting the standard definition of a word first, a writer can set s basic foundation for the reader. From this point, alternate interpretations, origins, or unique applications of the word can be considered. Addressing what the term does not mean – essentially clarifying any misperceptions about the word – can also be helpful in writing a definition essay. By thinking more broadly than just a dictionary definition, students should be able to write a definition essay with relative ease. Definition of Humanities - Definition of Humanities research papers discuss different approaches to defining exactly what 'humanities'. Balanced Essays - A balanced essay is an essay that is clear and contains both sides of an issue. Catharsis in Literature - Catharsis in Literature essays analyze the word used to describe the release of emotions from the main character. Paper Masters writes custom research papers on definition essay and explain how to write a piece centered on the meaning of one specific word; this definition should incorporate both objective and personal information.